Over the next three years Smokestack is publishing 60 new titles, including books by Michael Rosen, Amir Darwish, Alexander Tvardovsky, Isabella di Morra, Winétt de Rokha, Konstantin Simonov, Reja-e Busailah, Laura Fusco, Sylvia Pankhurst, Nikolas Calas, Olga Berggolts and Varlam Shalamov. To help fund this expansion, Smokestack is launching a Book Club for well-red poetry readers. You choose the books you want from the list below of Smokestack’s forthcoming publications and they will be sent to you post-free as soon as they are published. £30 annual UK subscription: you receive 6 books a year. £50 annual UK subscription: you receive 12 books a year. £40 overseas subscription: you receive 6 books a year. £60 overseas subscription: you receive 12 books a year. The Kurdish-Syrian writer Amir Darwish came to the UK as an asylum seeker during the Second Gulf War, hanging underneath a lorry on a cross-channel ferry. In his new collection he seeks to rescue refugees from the popular media image as either perpetrators or victims, reflecting on the trauma, suffering and pain of the world’s 22 million refugees, what they have left behind, what they have lost and where they have arrived. Yellow is the colour of summer, money, New York taxis, TNT, sunflowers, cowardice, stars of David, and the earliest pigments found in Palaeolithic cave-art. 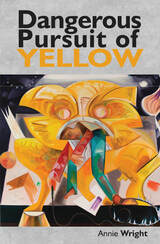 Dangerous Pursuit of Yellow explores the contradictory associations of yellow and its highly volatile nature. 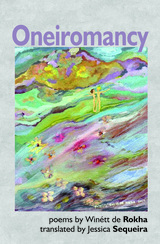 It is a book about nature and art, kitchens bedrooms and the bright, volatile, fading colours of family memory. Sometimes described as the literate cousin of the Limerick, the Clerihew is designed to lower the tone and cut everyone down to size. 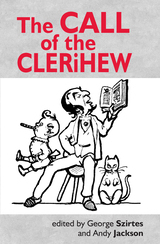 The Call of the Clerihew brings together fifty contemporary exponents of this ridiculous form, including Ian Duhig, WN Herbert, Katy Evans-Bush, Jacqueline Saphra, Michael Rosen and Tim Turnbull, cocking a snook at the great and the good, despots and detectives, poets and politicians. 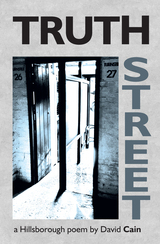 Published to mark the 30th anniversary of the Hillsborough disaster, Truth Street combines the eye-witness testimonies of the survivors at the second inquest to create an epic-poem that is part oral history and part documentary theatre. Inspired by the work of Charles Reznikoff and Svetlana Alexietich. 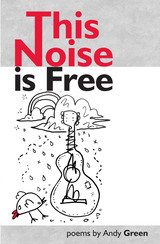 A book about buskers and busking, drawing on the author’s experience as a street musician, it’s a front-row seat to the universe, located somewhere between the rainbow and the gutter, pigeons and gargoyles. Inspired by Walt Whitman, Charlie Patton, Robert Johnson and Elizabeth Cotten, it’s a book about public art, good music and bad weather. Pipsqueak is a parakeet fresh out of Paradise, a popinjay, a polyglot and a polymath. And somebody has definitely been rattling his cage. 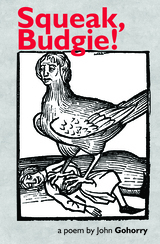 Following in the tradition of John Skelton's sixteenth-century satire, Speak, Parrot! Gohorry offers an irreverent commentary on the follies and failures of our age – bird-brains on Twitter, tabloids parroting lies and Brexiteers talking cuckoo. This is one sick parrot. 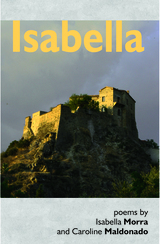 A bilingual edition of the poems of sixteenth-century poet Isabella di Morra, murdered by her brothers in an ‘honour’ killing at the age of 26. Includes a series of poems by translator Caroline Maldonado about the life and brutal death of this remarkable young woman in the context of femminicidi in our own time. 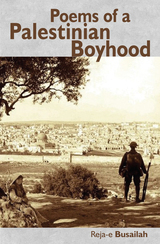 Reja-e Busailah looks back in his ninetieth year on life in a small Palestinian town in the 1930s and on the 1948 Nakba, when over 700,000 Palestinians were expelled from their homes and the author was forced to join the Death March from Lydda. Blind since infancy, Busailah recalls a boyhood shaped by education, family, friends, soldiers and Zionist settlers. A meditation on contemporary alienation, when every new technological advance seems to increase our isolation from each other, and the more connected we are the less we appear to know ourselves. 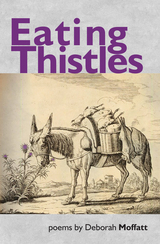 In her second collection, the US-Scottish writer Deborah Moffatt draws on Gaelic and other literary and folk traditions of poetry to address contemporary and historical events, transplanted, transformed and re-imagined. Michael Rosen’s third book of Corbynista poems for grow-ups from Smokestack, in which he addresses the end of Austerity and Tory attacks on education, and fondly remembers growing up in a Jewish-Communist household. 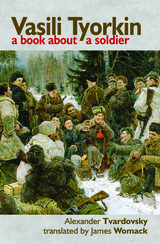 A big bilingual anthology of poems from the Great Patriotic War, including Konstantin Simonov, Boris Slutsky, Boris Pasternak, Olga Berggoltz, Bella Okudzhava, Aleksey Surkov, Alexander Tvardovsky, Samuel Marshak and Ilya Ehrenburg, many translated into English for the first time. During the Second World War Vasiliy Tyorkin enjoyed a legendary status among Soviet soldiers, many of whom believed that the poem’s accordion-playing anti-hero was a real person. 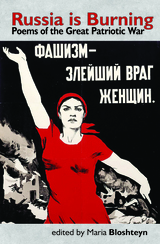 It was published in newspapers, broadcast on the radio, filmed, turned into a stage play and won the Stalin Prize in 1946. 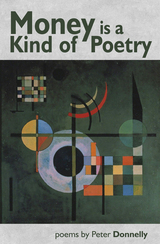 A new translation by James Womack. Written as an unhappy response to one of her husband’s affairs, Winétt de Rokha (1894-1951) combined dreams, myth and Chilean folk-tales to create a book about love and politics, a typically Latin American mix of Communism and Surrealism. Frida Kahlo meets Tina Modotti. Translated by Jessica Sequeira. A new, bilingual collection by the Chilean poet Eduardo Embry, imprisoned during the 1973 Pinochet coup. Philosophical, wise and sad reflections of a long life on the Left. Translated by Penny Embry. 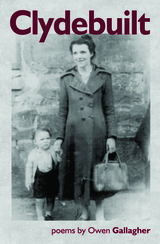 A memoir in verse of growing up in the Gorbals in the 1950s and 1960s – anti-Irish prejudice, poor housing, pawnshops and poverty. A sequence of memoirs in verse by actor Ben Thompson of distinguished friends and family, including the concert pianist Geraldine Peppin, Thompson’s uncle Frank, and his parents the historians Edward and Dorothy Thompson. Inspired by Trout Fishing in America and the Finnish Leminkainen myth, Willoughby crosses the river Tees and the black river of the underworld in search of the literary form that will make sense of death, in a comic post-Beat travelogue to Hell and back. A poetic account of the battle of Guisborough in 1643, exploring seventeenth-century beliefs and contemporary attitudes towards free speech and faith, propaganda and social division, reaction and revolution. 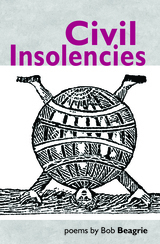 Civil Insolencies reflects on a World Turn’d Upside Down. Smokestack’s lists for 2020 and 2021 includes books by Konstantin Simonov, Laura Fusco, Jeremy Robson, Jane Burn, Andrei Sen-Senko, Tasos Leivaditis, Montagu Slater, Nikolas Calas, George Jowett, Nick Moss, Chawki Abdelamir, Anna Greki, Sylvia Pankhurst, Alan Morrison, Jo Colley, Nancy Charley, Graham Fulton, Olga Berggolts, Richard Skinner, Varlam Shalamov, Imruh Bakari, Selina Rodrigues, Anna Robinson, Fiona Sinclair, Emma Jones, Stephen Wade, Ruth Valentine, Rob Francis, Mike Crowley and Martin Hayes.